This is the one time a week I can really boast about my little man. 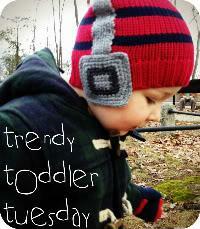 Truth is, he looks so cute in just about anything and I know us mamas say that about our little ones, but its true! We are getting ready for a six week trip to Chile We leave June 19th (eeeek!) and I have yet to buy any winter clothes for him. Yep, we are heading into the Chilean winter and because he is growing boy, most of his jackets, jeans and shoes from just a few months ago are too short or too tight. So I need to take a day (alone) to go out and shop for the little guy. I've done *a little* shopping of my own, but I'm set with winter threads (I'll let you know soon what I got). So for the next few weeks you will be seeing more winter styles rather than summer styles. In the mean time, here is my very own captain adorable. Real men wear cardigans I say! 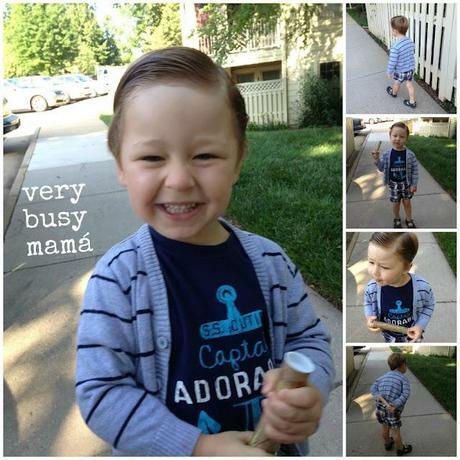 Cardigan - Primark T-Shirt - JC Penney Shorts - The Children's Place Trainers/Sandals - Target Cuteness - All his own! He has been going to nursery/daycare three days a week and he knows he his to comb his hair and wash his face before leaving the house. Starting the grooming habits early. Now your turn. Show off the cuteness! show your style and link to us! Alexandria H&M; on King Street is Officially OPEN!